The perfectly hopeless vulgarity of the half-Europeanized Arab is appalling. Better a thousand times the Arab untouched. The foreigners come out here always to teach, whereas they had much better learn, for in everything but wits and knowledge the Arab is generally the better man of the two. All the nations did what you think we should do now with Turkey. And all those nations stopped being who they were and became Romes. Only one nation did not give in, did not cooperate with Rome. A nation that did not send an army for an army, a nation for a nation, every person went against the enemy. All that was on the land was protected with iron and saturated with blood. And when everyone fell on the battlefield, Rome could say: We have conquered a land but not a nation. That nation was the Jews. Ironic, indeed, that until very recently certain American Jewish organizations could not, or would not, concede that there was an Armenian genocide, when among the very first testimonies to the brutality came from a Palestinian Jewish woman. That woman was Sarah Aaronsohn, who fled from Constantinople to return to her beloved Palestine, and because she crossed the killing fields on her way home, she knew what Djemal Pasha, the Turkish governor of Palestine, and his colleagues were capable of. For that reason, primary, perhaps, among others, she and her equally memorable brother, Aaron Aaronsohn, made certain decisions that unleashed a series of actions by a very few, very courageous, very controversial, very knowledgeable, very persuasive, very daredevil and very influential Jews in Palestine. Very influential, as in determining the future of Jewry in Palestine, the future of their relations with the Arabs there, the future of population growth there, the future of agriculture there, the future of the Jewish-American alliance there. Very determined, in a manner almost as definitive and causative as a list of Biblical begats. As WW I began, the Turkish rulers of Palestine slaughtered the Armenians and prepared to slaughter the Jews. This was the conclusion that Sarah Aaronsohn reached as she passed through Armenia; and, upon reaching Palestine, this is what she was reminded of when she learned that the Turks had confiscated all farming implements and farming animals from the pioneering Jewish farms in Palestine, and had burned the crops there. During WW I, Jews of Palestine dropped dead from starvation. Having seen the endless miles of dead bodies in Armenia, Sarah Aaronsohn was convinced that this was only the beginning. Palestine was next. This, in a nutshell, was the seed of the NILI spy ring in Palestine. Lawrence and Aaronsohn: T. E. Lawrence, Aaron Aaronsohn and the Seeds of the Arab-Israeli Conflict (Penguin), by Ronald Florence, is an epic tale, more absorbing than a novel, exciting, heroic, shimmering with insight on every page; then, suddenly, terrifying, agonizing, tragic. It is as much a tale of what could have been as of what was. Author Florence proves himself equally adept at mastery of the archives and mastery of the emotions, hopes and personalities that animated the Jews, the Arabs, the British and the Turks as the seeds of the Arab-Israel conflict were planted. Planted? Hardly a metaphor, as the Jewish hero of the tale, Aaron Aaronsohn, was a pioneering agronomist, who discovered weather- and disease-resistant winter wheat at the age of 22, who covered by foot or horseback virtually every square mile of what we now call Israel and the West Bank and Lebanon, as well as the east bank of the Jordan River; who knew and clipped and classified specimens of everything that grew there, and everything that he had made grow there; and who knew every watershed and transportation route. He predicted a Palestine filled with millions of people, fed by food grown there, when others saw only a poor land, a crimped population, primitive methods of farming and little or no hope. Planted: The seeds in Aaron Aaronsohns mind and in his hands put science at the heart of the Jewish and Arab future in Palestine, but, like all idealists, Aaronsohn had to cope with distractions. Evil ones, like Turkish animus and brutality, and obtuse ones, like British incomprehension of the loyalty and expertise that Aaronsohn and his sister Sarah were prepared to offer. Hardly least, the Aaronsohns and their NILI spy ring had to cope with the animosity of fellow Palestinian Jews, who thought that the Aaronsohns irresponsibly endangered them by disloyalty to the ruling Turks. Even if we take this skeletal summary of the Aaronsohns and of Palestinian Jewry in WW I as the whole, it is but half the book. T. E. Lawrence, known to posterity as Lawrence of Arabia, author of Seven Pillars of Wisdom and leader of the Arab Revolt during WW I, is the other half of the book title and the other half of the history, which author Ronald Florence deftly writes in halves. A chapter on Aaronsohn, written so tautly, with such drama, as to leave the reader thirsting for more, takes leave of the reader as the next chapter is on Lawrence, whose own drama and flair leave the reader so engrossed that Aaronsohn is all but forgotten. And so it rotates  a book of two biographies, two missions  one Jewish, one Arab  with Lawrence stepping in at a stopping for Aaronsohn, and vice versa. T. E. Lawrence was short, brilliant, quirky, physically unimposing but possessed of phenomenal powers of endurance, and sharply individualistic, taking delight in throwing both followers and superiors off guard. Like Aaronsohn, Lawrence never married, didnt live very long, and changed the course of history. Lawrence mastered Arabic and loved the Arabs, their non-Western ways, their mystique, their desert life, their embodiment of everything that formal British life was not. Lawrence traveled the Middle East, and, at the outbreak of WW I, found himself the most plausible expert on the area in the intelligence bureau of the British in Cairo. It was Lawrences dream to unite the Arab tribes across a vast swath of territory  what we now call Saudi Arabia, Jordan, Syria, Iraq and Lebanon  into a single Arab caliphate, independent of the Western powers. WW I was the pivot. Before then, a vast territory knew no Arab nationalism, no Arab states, only Arab chieftans and tribes, Bedouins and aspiring leaders such as Faisal, son of Hussein of the holy places of Mecca and Medina, and ibn Saud of Arabia. After WW I, suddenly there was Syria and Jordan and Iraq and Lebanon, not necessarily independent yet, but, at a minimum, on their way to independence. Lawrences specific attempts at showing the Arabs worthy of, and powerful enough to claim, independence, had little immediate effect; but he planted the idea. Not hyperbolic at all, in fact, if the promoter of an Arab nationalism long on xenophobic Muslim purity and short on sensitivity to Western values, and short on respect for Jewish rights in Palestine, is worthy of a place in history. Enter, leaders of American Jewry: Felix Frankfurter (later on the Supreme Court), Judge Julian Mack, Cyrus Adler, Julius Rosenwald (founder of Sears Roebuck & Co.), Oscar Strauss, Louis Marshall, Jacob Schiff, Paul M. Warburg; and ex-President Theodore Roosevelt and research botanists at the USDA  they were all swept off their feet in 1909 when Aaronsohn talked about his research into the flora and fauna of Palestine. Within a few months Aaronsohn was not only talking English but publishing trailblazing research in English, and, with the firm imprimatur of the experts in the USDA, the leaders of American Jewry, including staunch anti- or non-Zionists, were lavishly financing the Jewish Agricultural Experiment Station, Aaronsohns dream for putting Jewish Palestine on the world scientific map. Enter, British intelligence agents, generals and diplomats: Stewart Newcombe, Leonard Woolley, Ronald Storrs (later first British military governor of Jerusalem, after Edmund Allenby had wrested it from the Turks in December, 1917), Ormsby-Gore, Mark Sykes, Herbert H. Kitchener. Both Lawrence and Aaronsohn dealt with all of these men, and others, for the lines of Jew vs. Arab were not yet drawn in WW I. There was one enemy: Ottoman Turkey. It starved the Jews, denied the Arabs rights, and fought Britain. The Aaronsohns, who, under cover of doing agricultural research throughout Palestine, could provide critical intelligence to the British in Cairo; Lawrence, who, under cover of advancing the British war effort, could cast Arabs as potential allies, worthy of post-war independence; and the British, who, under cover of fighting a war, could play the Jews and the Arabs against each other  all were able to ignore each others agendas in the name of defeating the Turks. And so, Sarah and Aaron Aaronsohn, and Avshalom Feinberg and Josef Lishinsky, and others in the circle of the JAES, decided to spy for the British. And so, Lawrence decided to convince Faisal, son of Hussein of the Hejaz, of Britains ultimate interest in Arab independence; and to convince Faisal to take up arms against the Turks. It is one thing to decide. For both the Jewish spies and for Lawrence, it was entirely something else to execute. The NILI spy ring has gone down in history as a beautiful attempt to help the British defeat the Turks. The reality was brutal. The purpose of the JAES was to increase crop yield through scientific improvement of everything from seed to soil. Specifically, the goal was to make food grow in an arid climate. Politically, the goal was to show that the land of Israel could support millions of more people than was conceded at the time. If the lands potential for fertility could be demonstrated, the immigration of millions of Jews from Europe to Palestine could be justified, encouraged and legitimized. Indeed, the JAES, in the few years it operated before WW I, made great strides. With the onset of the war, its work proceeded apace at first. When the Turks systematically burned the crops and shut down farming in Palestine, however, the Aaronsohns and their colleagues began to take note of Turkish troop movements and arms caches, the location and size of the troops, as well as vital data on the weather, on the the location of water sources and malaria swamps, on the precise condition of every known route to Beersheba (Sachar). The British, ensconced in Cairo, defending the Suez Canal, would need to invade Palestine from the south, through Beersheba. As is often the case with mass murderers, the Turks outsmarted themselves. Since they destroyed Jewish farms, they found themselves without a source of food for their troops. If that were not enough, a plague of locusts descended in 1915, devouring what little the Turks had left. 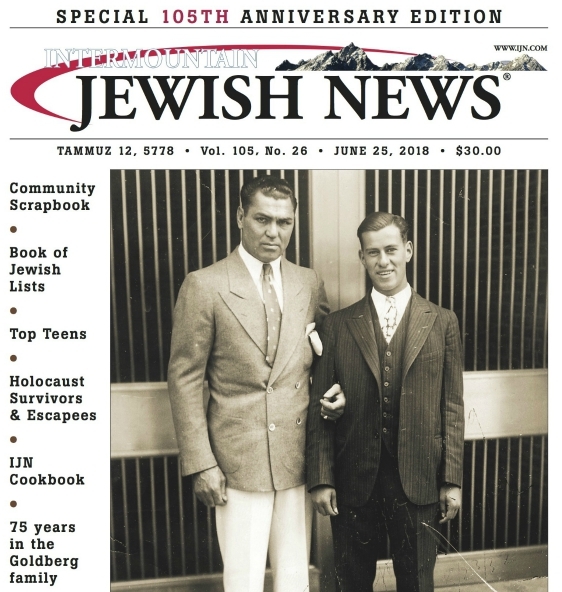 Djemal Pasha, the Turkish governor, had no choice but to turn to Aaron Aaronsohn  a Jew!  to advise him on how to restart crops in Palestine. Aaronsohn soon divined that he would never be able to manipulate Djemal to Palestinian Jewrys benefit. Aaronsohn and his colleagues decided to spy for the British. The British, however, knew nothing of the JAES. It took more than a year of British refusals to convince them that the JAES was honest, earnest and capable. Avshalom Feinberg, Aaronsohs trusted and poetic assistant, was killed by Bedouins in the Sinai Peninsula, desperately trying to reach the British in Cairo, when it seemed that no other approach was working. His body was never found. Eventually, the spies made contact with the British, who, for a long time, responded reluctantly and irregularly. A British frigate from Cairo made its way on moonless nights to the Mediterranean opposite the JAES to pick up intelligence drops. To achieve this, Aaronsohn had had to leave Palestine for Cairo and Britain  he was famous, and it was only he who finally brought the British around to the high value of NILIs information. He managed to escape Palestine under the ruse of needing to go to Germany to do research that would bring back crops after locust plagues. Every delay pained Aaronsohn because he knew that every day the British did not have the Jewish spies intelligence to move successfully against the Turks, more Jews in Palestine died. Men, women and children starved. What Aaronsohn did not know is what happened to his sister, who took over the JAES and its spy effort, NILI, when her brother left Palestine to win over the British. The frigates visits had become too risky. The preferred method of delivery of intelligence switched to carrier pigeon. It was successful for eight months. Then, one pigeon lost its way and was discovered by the Turks, who could not decipher the spies code, but could figure out that spies were in their midst. Eventually they discovered NILI and Sarah Aaronsohn in particular. Her terrifying end at the hands of the Turks, I shall spare the reader. She died revealing nothing. As I say, Aaron Aaronsohn was in Europe at the time, and when he did find out much later, he was also erroneously told that his father had been killed, too. One can understand his utter impatience and exasperation over the studied approaches to the allies of the official Zionist leadership in France and London. They knew next to nothing of the suffering in Palestine, and certainly had not risked life and limb to keep the Jewish pioneers there alive. The Arab revolt has gone down as a heroic demonstration by the long suppressed Arabs of the Middle East to show their love of freedom and of the West, embodied by the conquering British army. The reality, however, was almost comic. Even the raids that Lawrence did succeed in organizing against the Turkish supply lines were carried out by Bedouin, not by Arabs. And their motivation was not nationalism or independence, but spoils. Plain and simple. Spoils. Not to mention, many of the raids that Lawrence said he could organize fell through. As if all this were not damning enough, Lawrence was disloyal to his country by revealing British secrets to Faisal and then acting jointly with Faisal to defeat British goals. The British had promised Syria to the French in a post-war dividing up of territories conquered from the Ottoman Turks. Lawrence revealed this to Faisal, who then could not be expected to fight for the British, since the territory Faisal coveted  Syria  the British had already committed to someone else. Lawrence, however, connived to have Faisal and his nominally Arab troops raid Turkish sites along the flank of the British advance up from the Negev, through Palestine, eventually to Damascus. Lawrences idea was to have Faisal and the Arab nation seem to conquer Damascus by right, thus overturning Britains commitment to France. In the end, at the peace conference in Paris after the war, neither Faisal nor Lawrence got their way, despite the mythic status Lawrence had achieved and the great impression that Faisal, in his Arabs robes, made on everyone. Lawrence two-timed his country and ended up bitter as his envisioned Arab caliphate never came to be. Lawrence and Aaronsohn met each other on a few occasions, and while their goals were vastly different, they did not always see each other or their peoples as enemies. Lawrence stimulated an Arab pride without a commensurate, realistic political program for its expression. In part, this was due to the Western powers greed for territory. In part, however, it was due to Lawrences romantic elevation of the Arab nation to a status that only dominion could satisfy. No doubt, equality was not a trait or a value that he found in Arabs to begin with, but he did nothing to nurture it. The idea that Arabs and Jews could live together as equals was not in Lawrences view of the Arabs, or in their view of themselves. Lawrences stoking the fires of Arab nationalism, absent tolerance for other political powers, set the stage for the all-or-nothing Arab approach that still bedevils Israeli-Arab relations today. Aaronsohn had as much conflict with left-wing Zionists as he did with Arabs. Aaronsohn thought the future of a Palestinian Jewish society lay with capital investment and agricultural and industrial development, not with socialism. He could not figure out why a socialist Jewish kibbutz that banned Arab labor and left Arabs unemployed was superior to a capitalist Jewish enterprise that employed Arabs at low wages. In Aaronsohns vision, Jews had a right to a future Palestine because Arabs lived in huge swaths of territory, far larger than Palestine; and because even he would admit that the prime exploiters of Arab labor in Palestine were not the socialist Zionists, but the elite Arab effendis who kept their Arab peasantry purposely impoverished. Aaronsohns mental universe did not contain an Arab nationalism, only a Jewish one, albeit a humane and universalistic one whose agricultural advances were intended to benefit the local Arabs as well as Jews. For presentation to the peace conference in Paris, he drew up a rational map of boundaries for Palestine based on watersheds, hydrology, terrain, trans- portation routes and cultivation patterns. Only Aaronsohn could do it. Even the Zionist leaders who shoved him aside admitted they needed him for this. These were the days before copy machines, not to mention emails and sophisticated computer programs. He set off to Paris, sick of the way he was demeaned by the Zionist leadership. He wanted to get back to Palestine  he had not even seen his father, nor tended to his precious Jewish agricultural experiments  in two years. He had not visited his sisters grave. Enough time as a diplomat. Enough time away from science. He had the single copy of the map. It would have drawn a very different Jewish Palestine from the one the British Mandate eventually adopted. It would have made a lot more sense, for both Jew and Arab. On the way to Paris, Aaronsohs plane  and his map  went down at sea in the English Channel.